MXL 770 vs AT2020: Here is the Winner ! When you are beginning your work as an amateur musician, choosing a decent condenser microphone can always be a challenging thing, especially when you have a tight budget and you have to choose between the MXL 770 and the AT2020. We understand that it is a difficult decision to make and that’s the very reason we are here with this discussion today. Without further ado, let’s find out who the winner is in this mxl 770 vs at2020 battle! Let's look at the specifications of these microphones in the table below. 1 MXL 770 vs AT2020: Which one is your go to mic? MXL 770 vs AT2020: Which one is your go to mic? When it comes to an economical choice for high-quality condenser microphones, the MXL 770 and the Audio-Technica AT2020 both are excellent choices. How do they look? Oh, you won’t be disappointed with either of them! The MXL 770 comes in a nice black color body with a gold accent. But what makes the microphone more beautiful is its large black grill on the top. The material used doesn’t look cheap and it features a black shock mount which contributes massively towards its good looks! The Audio-Technica AT2020 has a sturdy finish unlike the conventional fragility of condenser microphones. The body is made out of solid cast metal and the capsule is protected by its firm wire mesh. 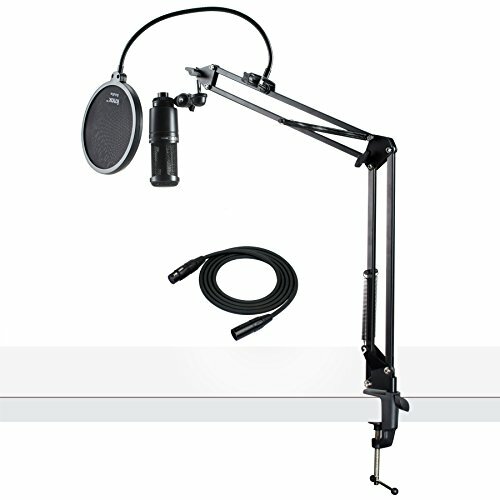 The additional stand mount makes it easier for placing the microphone. ​​​​​Dimension-wise, the MXL 770 is a bit heavier than the Audio-Technica AT2020 and also has a bigger diameter. The Audio-Technica AT2020 is longer than the MXL 770 though. There are a number of interesting features that are common in both the MXL 770 and the Audio-Technica AT2020 and also some that make them fairly distinctive. To begin with, we get to see that both the MXL 770 and the Audio-Technica AT2020 have a cardioid polar pattern – which means they pick up sound from the front and eliminates those coming from the sides and especially from the back. Plus, they are powered with a 48 volt Phantom power via an XLR cable. 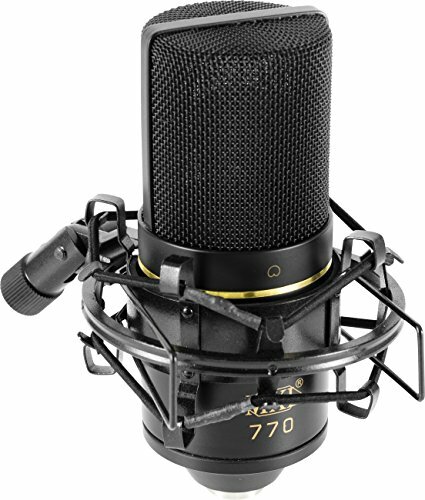 The capsule of the MXL 770 has a gold spluttered 6 micron low distortion diaphragm with legendary sonic characteristics. On the other hand, the Audio-Technica AT2020 houses a custom engineered low-mass diaphragm that provides superior transient response and has an extended frequency range. However, interestingly, both the MXL 770 and the Audio-Technica AT2020 have a similar low self-noise level. It is not too noisy and fairly acceptable for studio purposes as well. One major difference is that the bulky body of the MXL 770 is equipped with some extra features like a high-pass filter and a pre-attenuation switch. The high-pass filter controls the sounds under 150 hz which helps you get rid of the sudden thumps and rumble noises. And with the help of the -10 dB pad switch, you can handle the excessively loud noises as well. 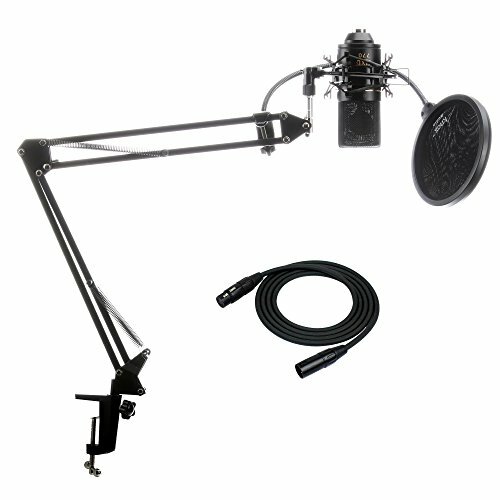 The bundle of the MXL 770 includes a carrying case and a boom mic stand. With the Audio-Technica AT2020, you get a carrying pouch, a tripod and a shock mount. Now, we have come to the most vital part of the discussion – the audio quality. Luckily enough, both of them produce a bright sound quality for audio production. Both the MXL 770 and the Audio-Technica AT2020 have the ability to capture the intricate details and they maintain the original tone. They have decent amount of clarity and the crispiness is very well balanced. That being said, the MXL 770 tends be a bit bright, and when it is compared to the Audio-Technica AT2020, it is definitely brighter which makes it sound too raw quite often. This is kind of a bitter sweet situation for the MXL 770. Weak instruments and vocals that fail to make their presence feel in the music can benefit from it up to a great extent but on the other hand, more powerful vocals and louder signals can sound very harsh. Furthermore, the Audio-Technica AT2020 is capable of handling loud sounds better than the MXL 770 because of its higher maximum sound pressure capacity. In addition to that, the Audio-Technica AT2020 proves to be way more versatile than the MXL 770 with its wider frequency response range, enabling the Audio-Technica AT2020 to reach lower frequencies better than the MXL 770. As a result this the Audio-Technica AT2020 can easily deliver a better bass performance with more solid and full lows than that of the MXL 770. Overall, the Audio-Technica AT2020 has a smooth audio reproductreion which makes it suitable for recording different kinds of vocals and instruments as well, which is not the case with the MXL 770. 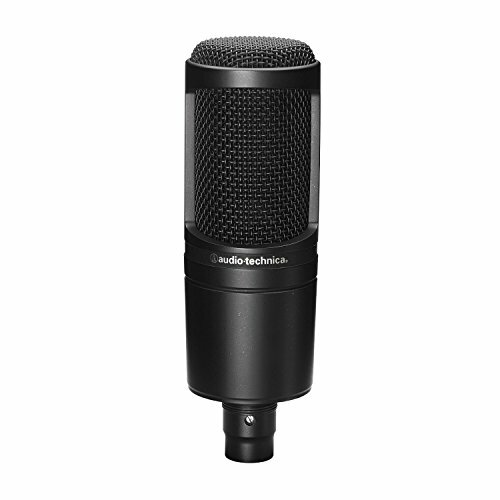 Hence, the Audio-Technica AT2020 is a more favourable choice in the professional aspect, in studio recordings, because of its more than one area of expertise the MXL 770 is mostly suited for voice overs and dubbings. Both are powered with a 48 volt Phantom power via an XLR cable. Both are condenser mics and comes with a shock mount. MXL 700 is equipped with high-pass filter and a pre-attenuation switch. Also read: AKG C214 vs Audio-Technica AT4040- Let's Settle This! So we have two very good condenser microphones in hand – the MXL 770 and the AT2020. To sum it up, both of them are good in their own ways but since we have to declare a winner, it has to be the versatile Audio-Technica AT2020. If budget is a concern for you, then you can go for the MXL 770 and it will still be a good deal. But we would highly recommend you to pay few extra bucks and go with the Audio-Technica AT2020 as it will be useful in more than one way. The Audio-Technica AT2020 is a worthy investment according to us as it clearly outperforms the MXL 770 in aspects of sound and performance and thus, today, the Audio-Technica AT2020 is the clear winner for us!